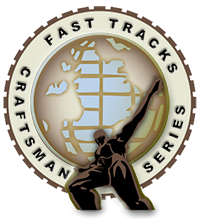 Build your own high quality, NMRA compliant, HO/HOn3.5, #5, dual gauge turnout with the narrow gauge running on the right hand side and get results that rival even the most skilled craftsman! 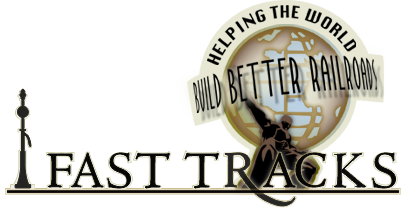 Dual gauge assembly fixtures are the most versatile turnout fixture that we offer. A single fixture can be used to build standard HO or HOn3.5 turnouts, as well as 11 different combinations of dual gauge turnouts. 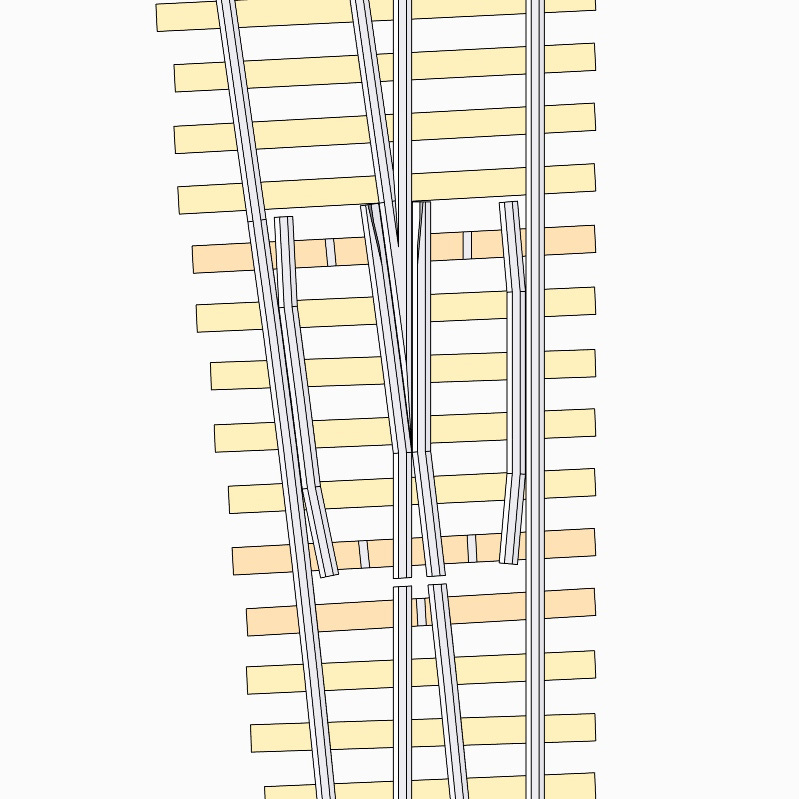 This assembly fixture can be used to construct trackwork for left hand and right hand, single and dual gauge #5, HO/HOn3.5 turnouts with the narrow gauge track on the right side as shown in the image below. 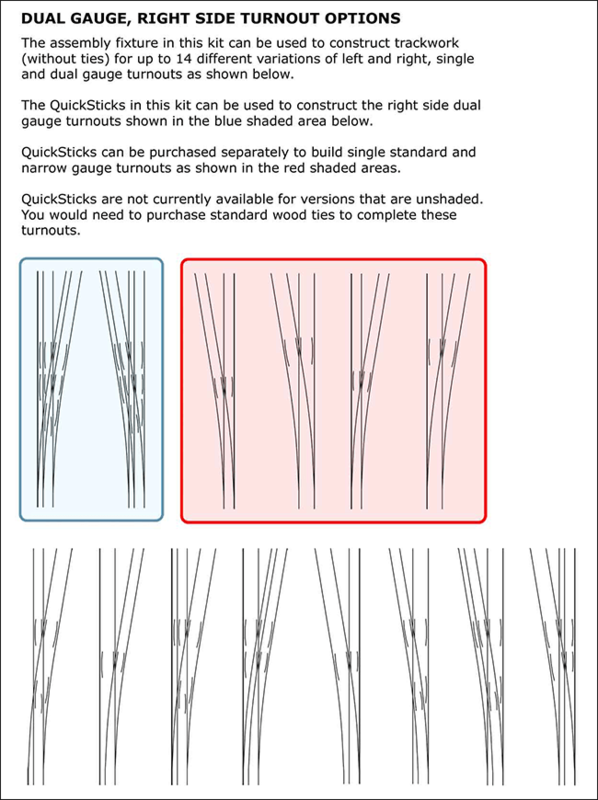 To build single HO turnouts with this fixture, order our standard HO #5 QuickSticks from the options list above. Our standard HOn3.5 turnout QuickSticks will not work with this fixture. The size of a narrow gauge turnout built in a dual gauge fixture is longer than a regular narrow gauge turnout (as it has to match the length of a standard gauge turnout). To build regular #5 HOn3.5 turnouts, you need to use individual wood ties to complete the turnout. 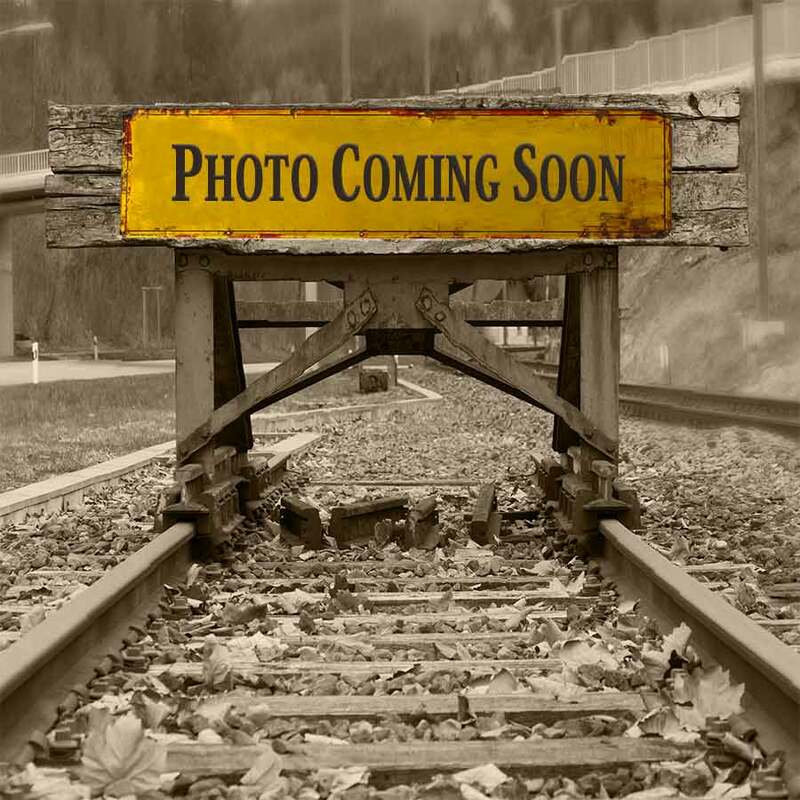 A selection of QuickSticks are also available to construct #5, HO/HOn3.5 dual gauge turnouts with the narrow gauge on the right side. Default Turnout Length 10" (254mm) This is the length of the turnout on the QuickSticks. Measured from end tie to end tie. Substitution Radius 31" (787.4mm) The approximate radius that a straight turnout can be inserted into.